In bead crochet, each crochet stitch includes a bead. So, a bead crocheted rope is tubular crochet with beads, using a light-weight thread that is strong enough to support the weight of the beads. 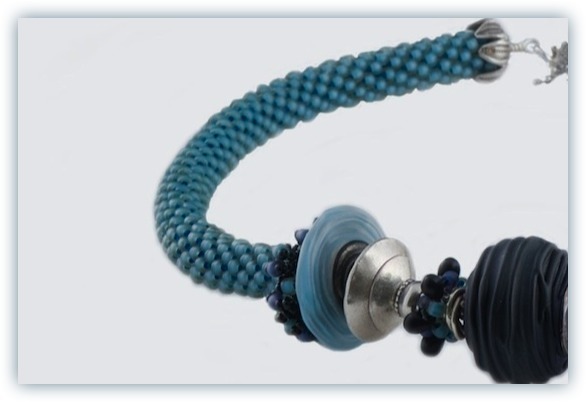 In some bead crochet ropes, the color of the thread shows through and adds a design element. Tiny steel crochet hooks are used in bead crochet. There are some links to bead crochet examples in the links section below. 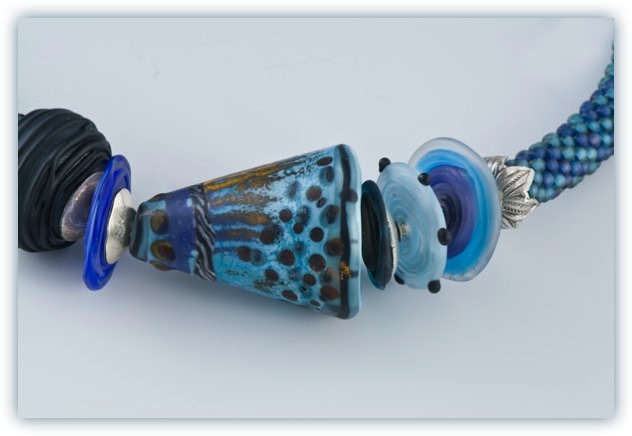 Handmade lampwork glass beads are made using rods of glass heated in a torch flame. The heated glass from the rods is placed on a mandrel, which creates the space for the bead hole. I collect these beads from bead artists, such as Karen Ovington, Gail Crosman Moore and Joyce Rooks, and use them to inspire jewelry design and feature prominently in the finished pieces. 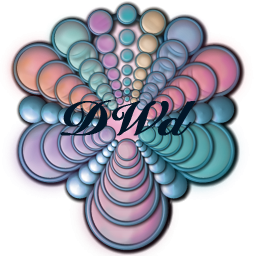 Check out their beautiful websites- links below. Aqua seed beads crocheted with marine blue thread. Gorgeous beads by Karen Ovington and Joyce Rooks.